Country Bankers Insurance Group (CBIG) joins Brigada Eskwela for the second time for its Corporate Social Responsibility (CSR) program for this year. 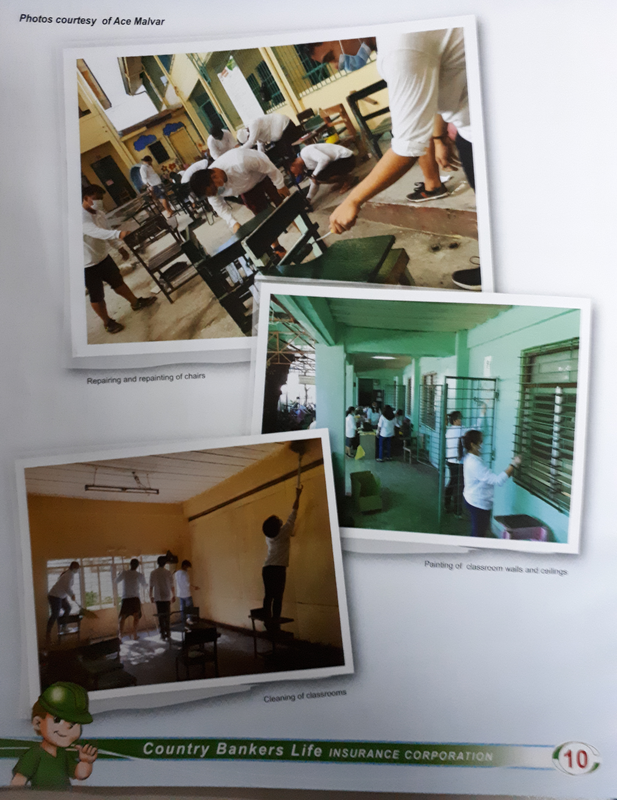 Last May 30, 2018, a total of 171 CBIG employees (76 from nonlife and 95 from life) spent the day repairing & repainting chairs and tables, painting interior walls and ceilings of 14 classrooms, cleaning the surrounding areas of the school to benefit more than 1,500 students of Catmon Integrated School, Malabon City. 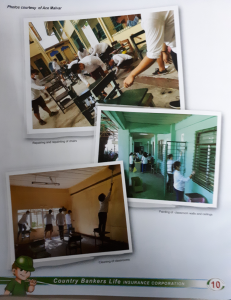 Also in May last year, the Victoria Homes Elementary school in Tunasan, Muntinlupa was the chosen school for CBIG’s 1st Brigada Eskwela, benefitting over 1,200 students. This year’s Brigada Eskwela was made possible in coordination with the school’s principal, Rosela Abude, and teacher, Sharon Danao. The joint efforts of the employees was led by CBIG SVP and GM, Geraldine Desiderio Garcia. CBIG also made donations to two other schools, namely, Sta. Cruz Elementary School, Bucal, Tanza, Cavite and Sta. Lucia Elementary School, Masantol, Pampanga. The first school was given four (4) wall fans and construction materials like lumber, galvanized iron sheets and plywood for one (1) makeshift classroom, while the second school was provided with cleaning materials, gardening tools and school supplies for teachers like erasers and chalks. Food for 29 teaching and non-teaching staff of Catmon was also provided.